At the A4 block at the Thermal Power Plant Nikola Tesla (TENT) in Obrenovac, a system for the reduction of the emission of nitrogen oxides has been successfully installed, reducing the emission by 200 milligrams of particles per cubic meter. The modernization of the system of reduction of the emission of nitrogen oxides was financed by the EU with EUR 8.5 million from the pre-accession funds. So far, it has donated EUR 200 million to the energy sector of Serbia. In the past period, TENT A has seen the reconstruction of electrofilters and the installation of systems for the reduction of nitrites and waste water treatment. 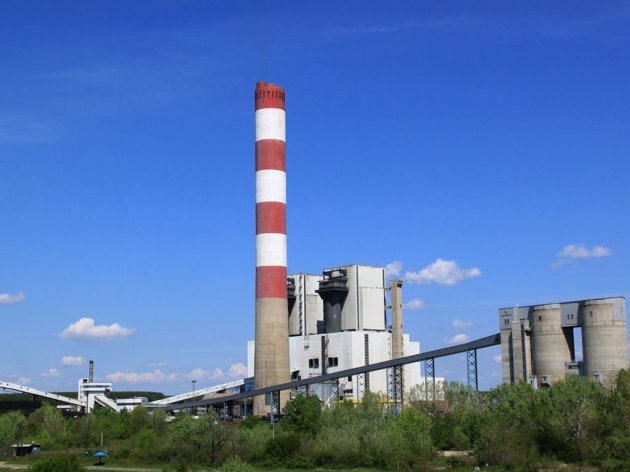 The head of the EU Delegation to Serbia, Sem Fabrizi, points out that, when it comes to installed capacities at thermal power plants, Serbia is the leader in the region, but that it also has the obligation of complying with environmental standards and taking part in preventing pollution. – It has obliged to do so with the opening of negotiation chapters 15 and 27, and the EU will continue supporting Serbia in this – Fabrizi says. Serbian Mining and Energy Minister Aleksandar Antic says that TENT A, with 1,750 MW, and TENT B, with 1,300 MW, are the key backbone of the energy system of Serbia. Those two power plants, he adds, produce 50% of electrical energy in the country, securing the stability of the electrical energy sector of not just Serbia, but the region as well. The director of EPS, Milorad Grcic, has announced a tender for the modernization of blocks A1 and A2 at TENT. Hydro power plants are being revitalized simultaneously, and the development of coal mines Tamnava and Kostolac is to follow as well. Antic announced that, over the next six years, between 700 and 900 million euros will be invested in Serbia's electrical energy system.